Nobody really likes filling out a survey, but this one is particularly important to people living in Metro Vancouver. 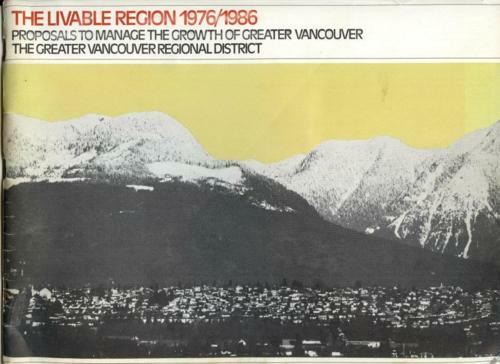 The Survey happened again in 1990, leading to the Livable Regions Strategic Plan, now Metro Vancouver’s regional growth strategy. Its primary goal is to help maintain livability and protect the environment in the face of anticipated growth. 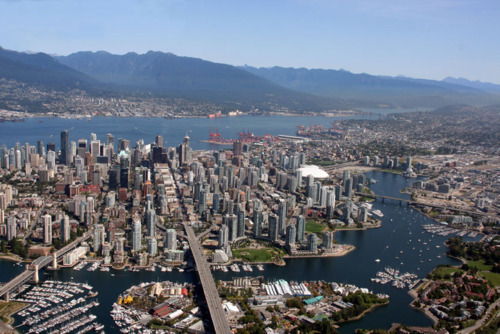 Since its adoption in 1996, the Strategic Plan has provided the framework for making regional land use and transportation decisions in Metro Vancouver. We tend to think about local issues within our relative municipal boundaries, but without broad-based regional planning, we get sprawl, traffic, lost farmland/green space and over consumption of energy, water and waste. The 1990 Urban Futures Survey conveyed the public’s feelings toward the environment and land use; and it ultimately lead to curbside recycling, water conservation and flood prevention programs, hazardous waste disposal, and regulations to protect wilderness and green space. 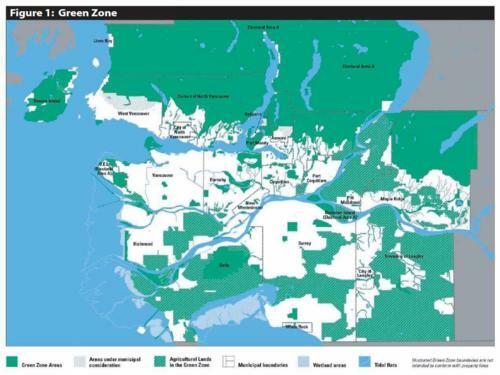 Some of the changes included establishing an Urban Containment Policy that identifies Metro Vancouver’s “Green Line” beyond which urban development will not be allowed. This “Line” defines the region’s “Green Zone” (see 2011 picture). We’re pretty green…and we like it that way. The third Greater Vancouver Urban Futures Opinion Survey has launched, but this time everything will be online. The 2012 survey will enhance information about Metro Vancouver public attitudes and experiences over the last 39 years. It will be invaluable to planners and policy makers at all levels. The survey can be completed in the time it takes to have your morning coffee, so please do your part and participate. Who is thiscitylifeyvr? I am curious; especially since you mentioned that you travelled to Europe with Ken Cameron. Hi Adam! It’s Jillian (Glover). I just opened a a wordpress account. Didn’t realize that my name would come up as “thiscitylifeyvr”…..